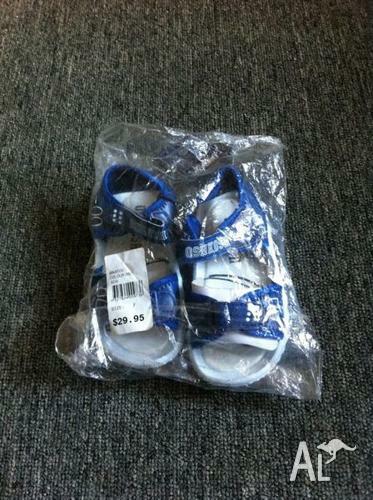 I am selling a pair of boys size 7 Oshkosh sandals. The style is BA4500 and is navy and white. 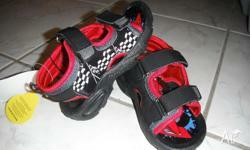 The sandals have two Velcro straps with the words Oshkosh on one strap and OKB on the ankle strap. Brand new, never been worn in packaging with original tag. 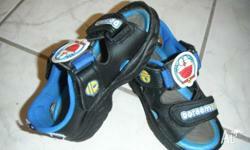 Also on the soles are the words Oshkosh and a picture of a football with the number 28. If interested please email me. Thank you. These sandals have flashing lights. 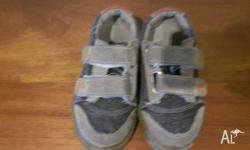 They are brand new with tags still attached. 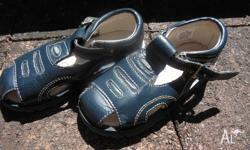 Oshkosh Brown Shoes 8 cm length. 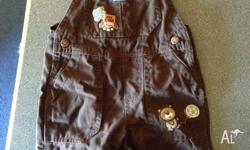 Excellent condition hardly used.